A modernization of the CalPERS computer system is scheduled to “go live” in September, nearly two years later than the original startup date, and the main contract is $276.6 million, up from $199 million announced five years ago. CalPERS has 250 full-time staff working on the project and will increase the total to 300 in two months. The main contractor, Accenture, has 325 people working on the project, an increase of 120 during the past year. Last month the CalPERS board approved a one-year extension of its agreement with Accenture to Sept. 13, 2013. The board also was told that operation of the system will be phased in, beginning with 85 to 90 percent of the functions this September. John Nichols, the Accenture project manager, told the board members they may have noticed a “lot of automobiles” in the CalPERS parking lot in the evening and on Saturdays. The modernization is called the Pension System Resumption (PSR) project because an initial attempt begun in 1995 failed. After delays in the current attempt, CalPERS board members gave Accenture officials a tongue lashing in December 2009. A “recovery plan” was launched under the new Accenture team leadership of Nichols, who had helped complete a long-delayed state child-support collection system. The CalPERS project director retired and was replaced by Karen Ruiz. A troubled state computer system is not unusual. It’s more like the norm. As early as 1973, three years before Apple sold its first computer kit, the nonpartisan Legislative Analyst’s Office issued a report on failed state computer systems. “Many of these efforts have been characterized by cost and schedule overruns, user dissatisfaction and operational problems which have resulted in either major modification or abandonment,” the analyst said nearly four decades ago. Earlier this month the state auditor warned that FI$CAL, an attempt to create a single financial management system for state government, could be in even more trouble because the top executive and two of his top assistants were leaving. The plan by the finance department and three other agencies to put budgeting, accounting and procurement on one modern system is already expected to cost $1.6 billion and take 12 years, up from the original estimate of $1.3 billion and eight years. A computer system linking state courts, once expected to cost $260 million, has been hit with delays and estimates that costs could reach $2 billion. Sacramento County judges called for a halt in spending on the project two years ago. An attempt to replace the antiquated system that issues state paychecks, begun in 2004 with an estimated cost of $130 million, stalled after $70 million was spent. The contractor for the 21st Century Project was terminated in 2009. State Controller John Chiang’s office expects a new system, MyCalPAYS, to begin issuing checks in October for a few departments. Others would be added in five waves during the following year. Nichols led an Accenture team, working with prime contractor IBM, that finally completed a state child support collection system in 2008, two decades after it was authorized. The state paid $1 billion in federal penalties because of the long delay. Is the CalPERS attempt to consolidate 49 outdated systems into one state-of-the-art system serving 2,700 local government agencies another chapter in the long history of botched state computer projects? “Yes, we are not within the original timeframe or the original budget, but the difference is we are going to deliver,” said Stephen Kessler, CalPERS deputy executive officer. The CalPERS board chairman, Rob Feckner, gave Accenture a public tongue lashing in December 2009 after Accenture, given a second extension of the startup date just a month earlier, said it might not be able to meet the new target, September 2010. Feckner called the Accenture chief executive and board chairman, said Kessler. At the time Accenture was in the news for dropping its sponsorship of golfer Tiger Woods, hit by a serial marital infidelity scandal. 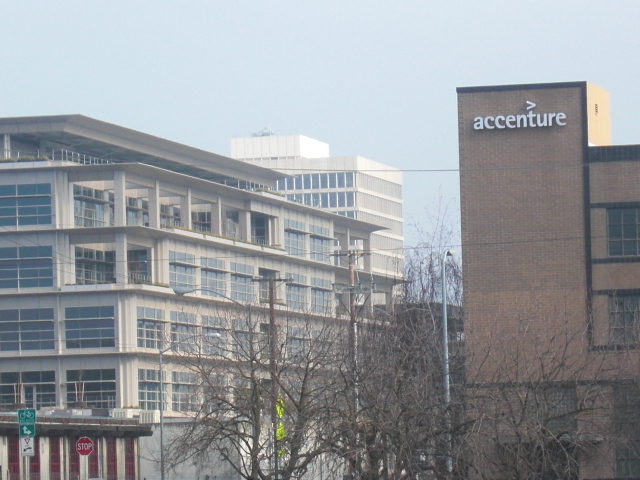 Accenture, with headquarters in Ireland, has about 211,000 employees in 53 countries. Once known as Andersen Consulting, the firm separated from Arthur Andersen a decade before the accounting firm was charged in the Enron scandal. The Accenture office for state and local government projects in California moved into a building near the CalPERS complex in 2008. The “recovery plan” launched after the December 2009 blowup was jointly developed by CalPERS and Accenture. When Sacramento staff leaves at the end of the day, the big global firm sends the computer code base to India, where work continues during the night and then is sent back the following day. It’s a way to “double the productivity” on the project and probably saves Accenture some money, said Dale Jablonsky, who became the CalPERS information technology assistant executive six months ago after 26 years at another state agency. In addition to the incentive of having to meet several “milestones” in the development of the project to receive payments, Accenture could face “daily fines of hundreds of thousands of dollars” for certain failures, said Jablonsky. The first CalPERS project launched in 1995 was called COMET or Corporate Online Member Employer Transactions. It handled contracting and enrollment, but was unable to properly manage contributions, payroll and benefits. CalPERS looked at standard “off-the-shelf” systems around 2000, but concluded that the complex operations required a customized system. The five-year Accenture contract announced in 2006 was for $199 million with a November 1999 startup date. Now the total cost is said to be $276.6 million, the “go live” startup date is Sept. 19, and the contract has been extended to Sept. 13, 2013, lengthening the warranty period and the payment “holdback” until performance targets are met. The new plan approved by the CalPERS board last month calls for a startup with 85 to 90 percent of the functions (mainly excluding the legislative and judges systems), followed by a second phase in six months, and a final phase a year after startup. A CalPERS staff report said the original rate for Accenture system support after the startup date, $135 an hour, was dropped to $98 an hour because the “world economy” and “market conditions” have changed since 2006. Among other things, the new system is intended to give the 1.6 million CalPERS members better online access to their accounts, streamline the retirement process and reduce the workload for employers. This entry was posted on January 18, 2011 at 8:03 am and is filed under CalPERS, Operations. You can follow any responses to this entry through the RSS 2.0 feed. You can skip to the end and leave a response. Pinging is currently not allowed. Will the State ever learn that it’s much faster and cheaper to use existing state staff to do this kind of development work? To the bid winners, it’s just a chance to feed at the trough. They don’t know the real needs and environment, and management does not want them to know. And they could care less. Huge FRAUD has been going on there for several years. Lots of low quality immigrants with fake experience work there. They work there for 80+ hours every week for several several years and months. How can they be productive and give QUALITY output. Contractors spend there at work just to accumulate tons of hours and earn money. All of the extra hours and money, could be a job to American or employee’s who need it and who can feed their family in this tough economy. IMMIGRANTs in the name of contractors working close to 100 hours per week, giving low quality work and people at high level earning commissions is hi-tech fraud thats been going on there for several years. STOP THE FRAUD and save tax payers money. I was there and it was the most horrible experience I have ever had in a software development. Because I wasn’t one of the “special, highly trained” [sic] immigrants, I was basically abused constantly by managers who knew nothing of managing people. Leads kiss up to the managers by passing false information to them about their “underlings.” It was ugly. Working conditions were awful, working hours horrible. We underwent “mandatory” overtime and weekend work. I knew some people who worked way beyond what is legal without a day off. The more heat placed on the management from the CalPERS board trickled down to the workers. Promotions are based on competition amongst your peers … they would evaluate your work against your peers and the same people would be constantly promoted. Also they have ageism issues. They hire young, inexperienced workers, so the work force is very young. If you are older with more experience they tend to put you in the basement with a stapler. Horrible company, no work-life balance as they claim and the code is a big mess of spaghetti. I feel that it’s always very easy to comment on something or blame on someone when they actually don’t know the gravity or depth of the situation. I feel that a project is never handled just by one group nor so called “Immigrants” nor “Consultants” for it to fail. It’s a collaborative effort like a game of dominos where everyone need to put in all their efforts and do their duty diligently. Even then projects sometimes delay or fail due to certain situations. It could be anybody’s fault and it’s not fair to just blame on one group of folks just because they are “immigrants” or “Consultants” taking your job. Most of the time these folks are just the field level soldiers and are just doing what they are told to by their supervisors and their supervisors. Without them working so hard sacrificing their days, nights, weekends and other quality family time, health just for the sake of a project and of course they need to get paid, else what is all this for? Chump Charity???? No way..not ofcourse in this 21st Century. Would you do this if you are in the same situation. If there were no “immigrants” or “Consultants” on this particular project, it would never have gone live till now in the first place. From a personal standpont being on this project for few years now and seeing a number of peers closely…first of all the client itself is not sure about the requirements and have been changed so many times and the overwhelming amount of rules and regulations that go along were not documented completely in the first place and adding to that other administrative faults. I worked with the state staff for few years and am quite aware of their knowledge level and commitment…not everyone around here is motivated for a challenging task. Seeing them closely last few years I can confidently say why most state projects FAIL/DELAY and their projects are not so techno savvy without the help of the big consulting companies. All I am saying is, the Developers are mere pawns on a chess board here and are as good as the business requirements that were provided to them. Bottom line is “If you Input JUNK, Output is nothing better than JUNK”. Letting accenture or their developers off the hook is JUNK. An outside entity that was supposed to have experience was hired to develope a system, but that entity didn’t know what questions to ask. They developed a system that failed to have even the most basic markers, with information so spread out that to process one transaction takes 15 minutes instead of 30 seconds. Having been with the project from start I have seen what was developed and how it was developed. I wouldn’t hire accenture to mow my lawn.